I loved making this card-the colours, off the edge image, big, bold sentiment and my fav enamel dots. No wonder you loved making the card because it's wonderful! You've been using this layout lately a lot and it's fantastic, I'm rating to call it "Sandie layout"! Love all the happy yellow! Beautiful card and beautiful design! 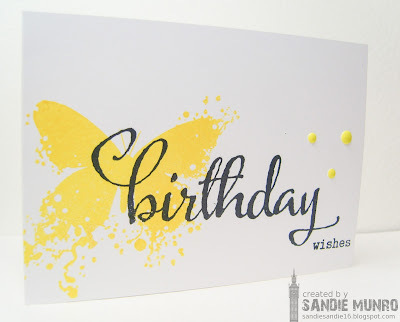 Love the layering of stamps and colors! Amazing one layer card. I love how you have layered the sentiment over your beautiful butterfly. Love the bold sentiment against the splash of yellow. This is fantastic! 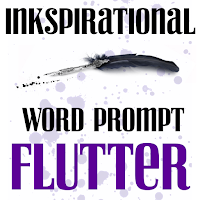 I love that bold, yellow butterfly with its splatter. Fantastic sentiment against the yellow! This is so you Sandie! Fabulous card! 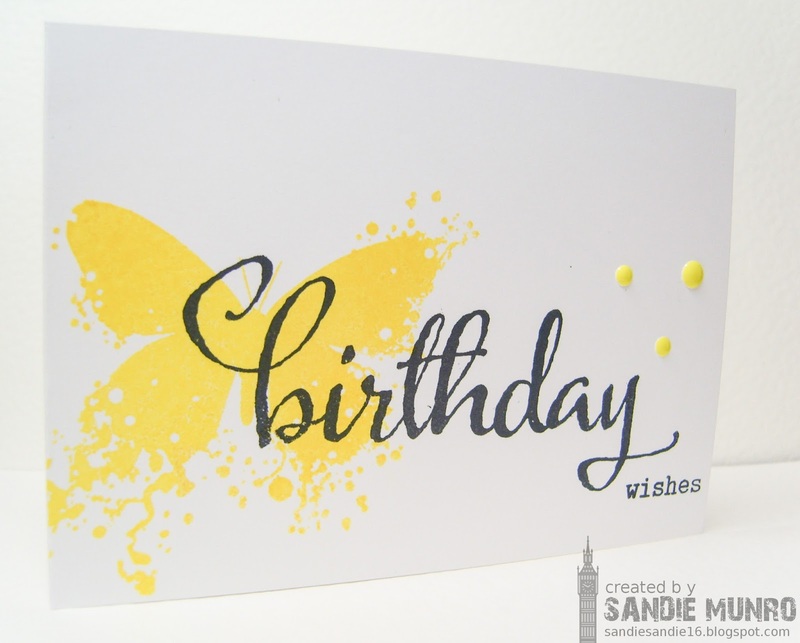 Oh, I love your great yellow butterfly, Sandie!!!! That is such a lovely stamp!!!!! The bold sentiment os simply gorgeous!!!!! What a beautiful OL, my friend!!! !